Content Curation: How to do it Right? Content marketing. If you are even remotely involved in the marketing world, chances are you have heard about it. A lot! Along with social media, SEO and mobile marketing, content marketing has taken the world by storm, it seems. But there's a big challenge to current and would be content marketers. Content marketing can be very labor intensive and time-consuming. To do content marketing, you have to produce content. A lot of content! And if you don't have the staff or financial resources to dedicate to it, that can be very difficult. Well there's a way to make this problem a lot less painful: content curation. According to Wikipedia, content curation is “the process of collecting, organizing and displaying information relevant to a particular topic or area of interest.” It can be a powerful part of an effective, comprehensive content marketing strategy. Content curation increases the pool of available useful content for your campaigns, meaning you have to write less original content. It lets you leverage the work other content marketers have done, while still benefiting them by giving their work more exposure. Even if you produce lots of great content that your audience loves, it can be beneficial to you and them to include some fresh perspectives by incorporating outside content on a regular basis. Even though you didn't create this content, your site's visitors will come to view you as an expert on that which you curated. One of the key components of online marketing success is to drive traffic, including repeat traffic, to your website. The more time someone spends on your site, and the more often they pay it a repeat visit, the more likely they are to buy from you. Curated content can help you build an “online destination” where hordes of information seekers want to visit again and again. And in this age of social media, word can travel rapidly about how great your site is as a hub for valuable, fresh content. The more of a “destination” your site becomes, and the more it is seen as an authoritative hub in your niche, the more likely it is that others will curate and share your content with their followers, gaining valuable exposure for you. But for this to happen, you need to create content, not just share content you've curated. In tight economic times, content curation can help overworked and understaffed marketing teams accomplish more with less. Thus, if you are a marketing director, it can make your job easier and a lot less stressful. It can do this during a recession or when the economy is booming. Also, content curation can help you build a loyal audience that appreciates the work you do and the curated content you share. It can build your brand as an authority and thought leader in your niche or industry. Content curation can supplement your original content very nicely, or it can take the place of original content, in some cases (Note – just be careful not to use curation as a “content crutch”. You still need to make the investment in producing quality original content). Done right, content curation benefits you and your company. It benefits the creator of the original content you are referencing. And it benefits your audience. How? You are giving them quality content that can help them. It can help them solve a problem or accomplish a task more effectively. It can save them time and effort by presenting them with great, useful content that they didn't spend a lot of time and effort searching for, at least not if they are regular followers of yours and visit your site first thing when they need a solution to the type of problem you solve. Let's face it. We are drowning in marketing content. None of us (including your audience) are suffering from “too little to read”. If you get the reputation of someone who helps people solve problems and keeps them from having to swim through a vast ocean of content first, you will become VERY popular! A steady practice of curating quality content can help you by building TOMA (Top Of Mind Awareness) in your website's visitors. In other words, when they're ready to buy what you sell, there's a good chance they'll think of you first. Content curation can be a great asset to your marketing efforts, but it's not a “magic bullet” that will solve all of your marketing challenges, and you need to do it right. You need to be careful to not make it a substitute for your own content production efforts. Use it to accentuate and enhance, not replace, the content your company produces. Make sure the content you curate is relevant to your overall content marketing theme and strategy. And only share curated content that is high quality. Read it thoroughly and ask yourself if it's something you would like to have your name attached to. If it's poor quality, don't curate it. Think like a museum director who's diligently trying to attract new and repeat visitors. “Unearth” and curate quality content, including content from well-known thought leaders in your field. Share curated content in different media like your company blog, ebooks, white papers, your email newsletter and through your social media channels. To make curated content more valuable and to strengthen your “content brand” as a thought leader, don't just show content you've curated, include your own comments and analysis alongside it. It's critically important that you be scrupulously honest and adhere to high ethical standards; give the creator of the curated content you are using and benefiting from proper recognition and credit. Often, marketers seek out a “shiny object” or “magic bullet” that they think will solve all of their marketing woes and bring them a truckload of qualified leads. Well guess what? They rarely find it. Marketers need more than one tool for their marketing toolbox in order to build their big, beautiful, structurally sound “marketing house”. Content curation isn't an exception to this rule. It needs to be one part of a larger marketing plan. Make it part of your content marketing activities. Make content marketing part of your larger marketing strategy that includes other tactics like email, SEO, social media, mobile marketing, etc. Content Curation and Landing Pages: Is There A Connection? Keep in mind that the end goal of marketing is to capture qualified leads and help your company sell more of your products or services. Every part of your comprehensive marketing campaign – your email, social media, SEO and content marketing, including content curation, needs to help make this happen. 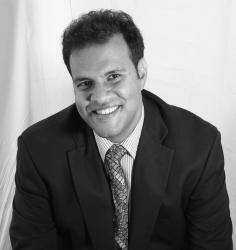 In the online marketing world, an essential strategy is to drive traffic back to your website. Although it may take awhile, content curation can help you do this. If your site develops a solid reputation for being a hub for fascinating, useful content, you'll get traffic. When you have these visitors on your site, this is an ideal time to make offers to them. Have a new white paper that includes your original content and references and links to curated content? Looking to “sell” your site visitors on joining your email list? Want to sell products through an online store? 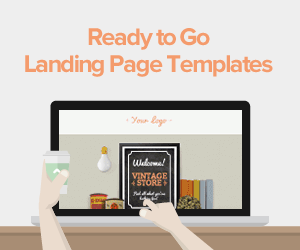 Landing pages are an ideal tool to help you with all of these goals. 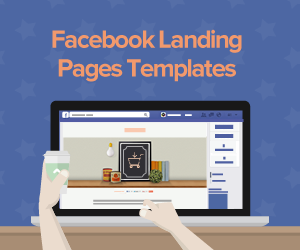 Landing pages let you customize your sales message and target your your specific audience. They can be set up to eliminate many of the distraction of the web – distractions that can kill sales opportunities. They are a proven way to help increase the effectiveness of a paid search campaign. 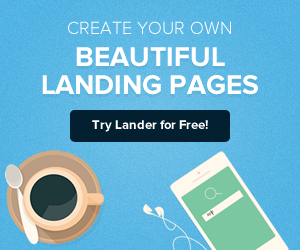 And Lander offers you exciting, new landing page templates. 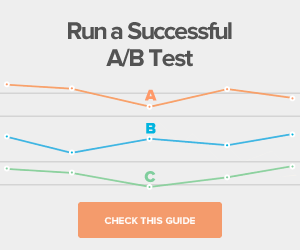 All of our landing pages come loaded with valuable features like advanced A/B testing capability and video integration. They are engineered to help increase your conversion rates. And you can try them out for free! Any questions? Contact us today!